There are many things we can do to enhance our well-being and improve (or at least maintain) our health as we age. After all, how we age depends primarily on our behaviors, habits, and lifestyle. One important part of our daily lives impacts us in so many ways that it deserves serious consideration. I’m talking about sleep. Our culture celebrates the person who needs very little sleep, but that attitude is counterproductive…and dangerous. Nearly 40% of Americans are sleep-deprived. Not getting enough sleep contributes to errors on the job and accidents on the road. What really gets to me is that insufficient sleep hurts our ability to learn or be creative. In addition, going without enough sleep impairs the function of the hippocampus in the brain, leading to memory loss. Think about it. Some of the problems we attribute to aging may in fact be the result of us not getting enough shut-eye. That’s something we have control over. By committing to getting better sleep, we can reverse some of the issues we may have assumed were due to getting older. Search the Internet and you’ll find lots of suggestions: Go to bed at a consistent time. Have a cool, dark, and quiet room to sleep in. Cut out alcohol, caffeine, and TV at least three hours before bedtime. Get up at the same time every morning—even on the weekend. There are other ideas, too, like having a calming ritual before bed using soft music, light reading, or meditation. And some experts say that if you wake up during the night and can’t go back to sleep, get out of bed and go into another room, keep the lights low, and do something boring. When you feel sleepy again, go back to bed. But these and other remedies cannot overcome the cultural pressure to put everything else ahead of going to bed. It’s up to you to make sleep a priority. 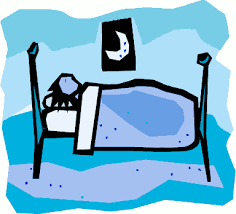 In fact, rather than seeing it as a luxury you don’t have time for, see getting enough sleep as a health necessity. It could save your life.